Campus News > The Results Are In! The 2019-2020 results are in and these new officials are ready to make a change. Francois Zebaze received over 72 percent of the votes, with 209 votes winning the position of Student Organization President. Taylor Davis received over 91 percent of votes, with 271 votes winning the position of Student Organization Executive Vice President. Tristan Leneus received over 89 percent of votes, with 265 votes winning the position of Student Organization Vice President of Funded Groups. Lucas Lopez received over 90 percent of votes, with 256 votes winning the position of Student Organization Vice President of Programming. Patrick Salako received over 89 percent of votes, with 264 votes winning the position of Student Organization Treasurer. Edward Wagner received over 38 percent of votes, with 115 votes winning the position of Student Organization Assistant Secretary. Briana Lenard received over 90 percent of votes, with 117 votes winning the position of Student Organization Senior Class President. Jennica Baul received over 89 percent of votes, with 115 votes winning the position of Student Organization Senior Class Vice President. Keemazjia Rousseau received over 89 percent of votes, with 115 votes winning the position of Student Organization Senior Class Secretary. Lindsey Gonzalez received over 85 percent of votes, with 77 votes winning the position of Student Organization Junior Class President. Sarah Fedak received over 53 percent of votes, with 48 votes winning the position Student Organization Junior Class Vice President. Alexis Owens received over 86 percent of votes, with 78 votes winning the position Student Organization Junior Class Treasurer. Daveon Shackleford received over 86 percent of votes, with 78 votes winning the position Student Organization Junior Class Senator. Mekhia Baker received over 87 percent of votes, with 42 votes winning the position Student Organization Sophomore Class President. Jason Pleitez received over 95 percent of votes, with 46 votes winning the position Student Organization Sophomore Class Vice President. Sadaqah Balaam	received over 47 percent of votes, with 23 votes winning the position Student Organization Sophomore Class Secretary. Lichelle Martinez	received over 29 percent of votes, with 29 votes winning the position Student Organization Sophomore Class Senator. Shauna Ruutikainen received 80 percent of votes, with 4 votes winning the position Student Organization Vice president of Kean Ocean. Chelsea Levine received 80 percent of votes, with 4 votes winning the position Student Organization Senator of Kean Ocean. Ruutikainen: "I want to reach out to the students and let them know that they can rely on me to address their ideas or concerns," Ruutikainen said, "[I plan to] expand Student Organization on this campus through promoting, event planning and networking with students [because that] is a big priority for me, as Kean Ocean is still continuing to grow and the exposure helps a lot." 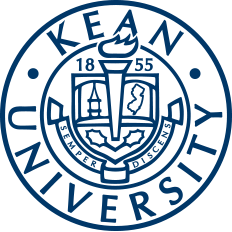 Shauna Ruutikainen is the new Executive Vice President of Kean-Ocean. Photo Courtesy of Shauna Ruutikainen. Ruutikainen was elated to know that she would be the next executive vice president of Kean Ocean's Student Organization and hopes to make the atmosphere at Kean Ocean more fun and welcoming. Ruutikainen will also invest a lot of time and care into all the responsibilities that accompany her position, especially representing the student body properly and working closely as a team with her fellow members of Student Organization. "I hope that in trying my best as the next VP of Kean Ocean and bringing all my empathy and energy along, I can make this campus a better place and make the students happy during their time here," said Ruutikainen. Sarah Fedak: "I have so many ideas for programs and events that the Junior class and Student Organization can hold next year. I also can't wait to be even more involved in planning and executing events for the junior class and Student Organization." Finding out she won while at work, Fedak was excited to know that she was given this opportunity. Sarah Fedak is the new Junior Class Vice President. Photo Courtesy by Sarah Fedak. Fedak said, "I actually screamed a little. During my lunch break I called some of my family members and they were all ecstatic, especially my mom and my Grandma. I couldn't stop smiling all day. 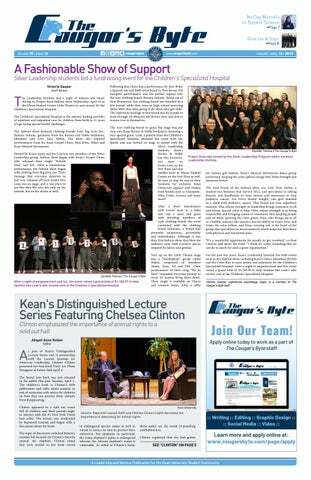 This is my first time being elected as a class executive at Kean University." Going forward, Fedak plans to make the most of the year within her position and is thankful for everyone who voted for her. "Also if you are interested in being involved in Student Organization, there are still open positions that you can apply for. I hope to see you at programs and events next year," Fedak said. The Student Organization elections were a success this year. For more information on the elected officials, visit The Cougar's Byte website and visit Cougar Link for updates on Student Organization.